Since things have been going to heck in a handbasket and people are still following Diana Peter's Every whim, and not listening to those who KNOW HER better than those who live in another state, I think it's fair to say, Reposting what information I have on her, will help sort out the confusion. Since 2010, Diana Peter's has turned down the path of SCAM, CON ARTISTRY. Yet no one seems to want to listen to anyone who has been on her property and has worked with this woman. On January 12th I called the Department of Agriculture, and asked when her Gift Cert Expired, they told me January 17th. 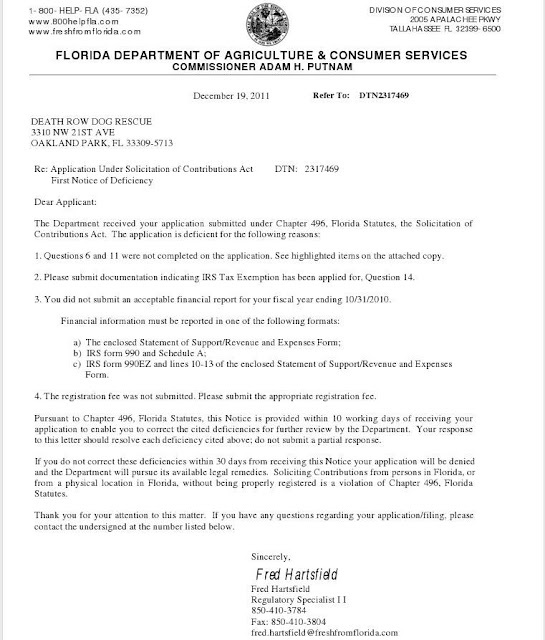 As of January 13th she got an extension to the 24th of January 2013. 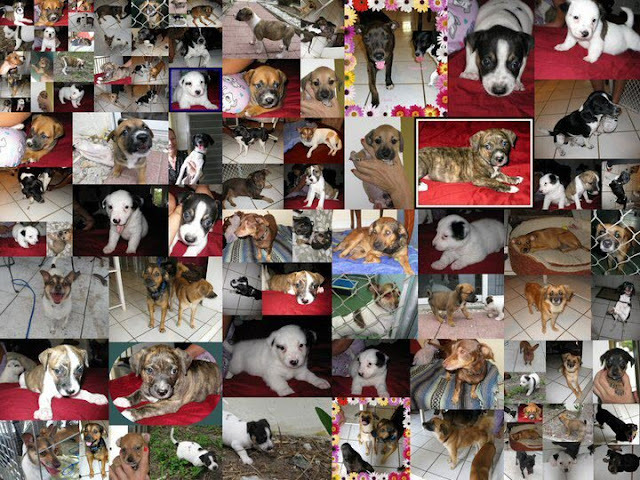 If you are not sure what a Florida Gift Certificate does for a rescue, I will explain. 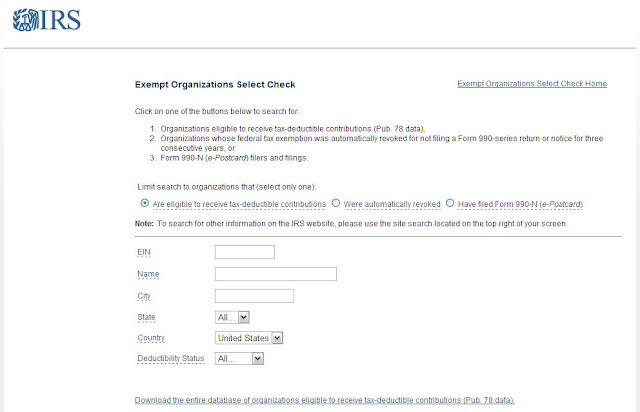 It's quite simple really, it allows the collection of donations legally. Since her Gift Certificate is expired she cannot accept donations or collect them legally. Diana Peters is Not a legit Rescue, Death Row Dog Rescue is Labeled as Dog Breeder under the Better Business Bureau. As of Early Yesterday I called again and her Gift Certification has been Reinstated. 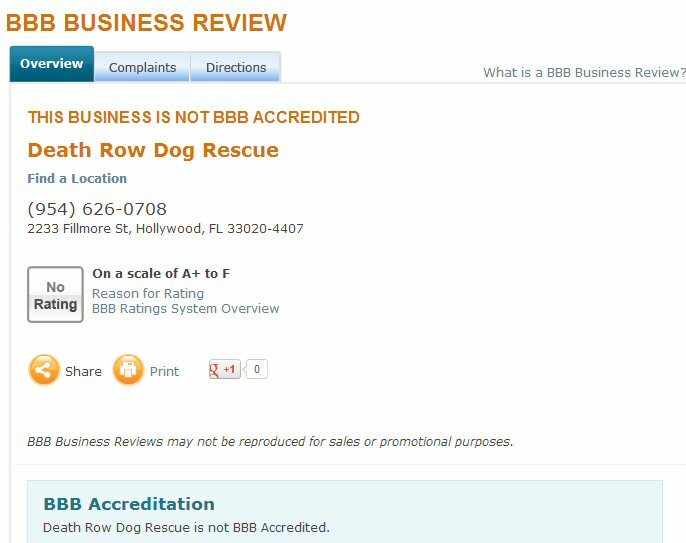 Unfortunately she can collect donations legally with that Certification, however she is not a legit rescue without a 501C3 documentation. 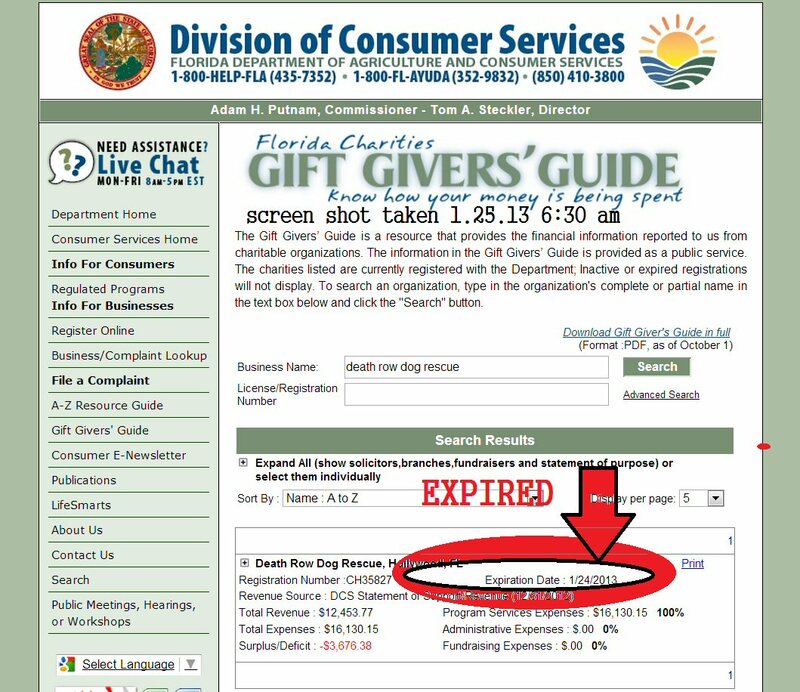 Evidence C will show you she is not 501C3 Documented. 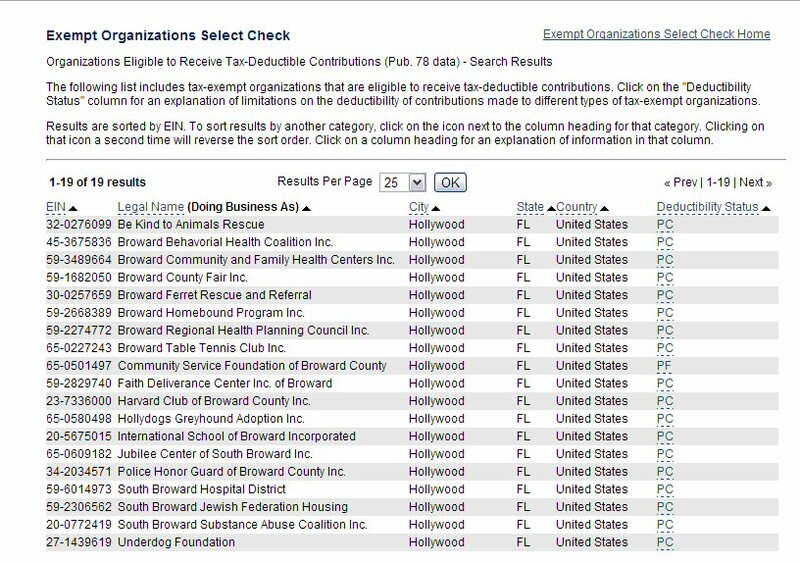 Evidence C- Not 501C3 affiliated. ^No Death Row Dog Rescue^ anywhere on the Hollywood FL 501C3 List. Do we still need more evidence of her Deceit? Lucy and Toby two elderly dogs, She claims she had them in her possession, she never had them in her possession and she still doesn't have them in her possession. Pictures look familiar doesn't it? Those are from Craigslist, And thats where Diana Got them from. Yet she doesn't have updated Photo's of Lucy and Toby, Because of one fact. 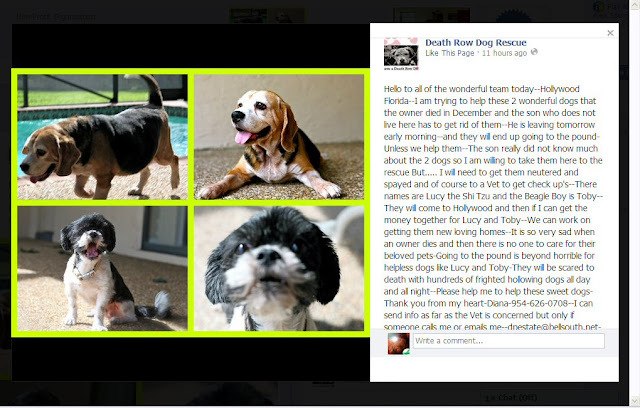 Diana Doesn't have Lucy or Toby, My friends do and they are trying to find Lucy and Toby a home that will take both of them. Mathew never had contact with Diana, Never said he was moving or putting them in the pound, Never gave the Dogs to Diana. 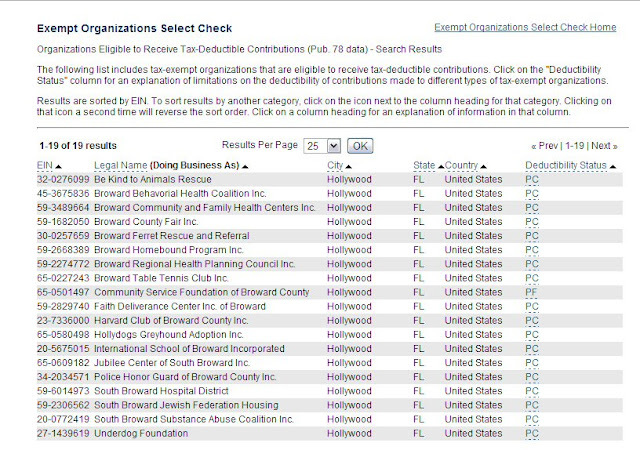 They were never going to go to Hollywood Florida. Toby and Lucy are 8 yrs old and are looking for a Furever Home, If you wish to have more information about these two goody but oldy couple Please go to Paw It Forward on Facebook. What is also troubling is how many times her paperwork was sent back to her, so she could fix her mistakes. Evidence D-(Old Letter, but you get the gist of things) FIX your MISTAKES DIANA. Is anyone understanding this yet? She does this all the time she submits her applications at the deadline, where they don't look over things and automatically approve the applications. 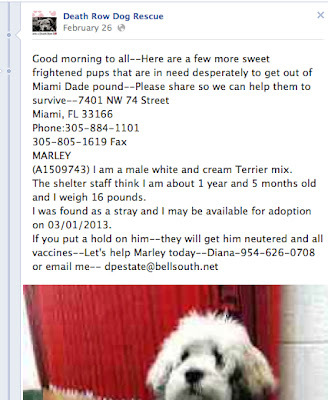 Florida is messed up in this aspect and innocent dogs Die because of this foul woman. That's not all folks, keep scrolling down for her LATEST deceit. There is more Photo Evidence on the DogRescueGoodBadUgly Blog. I don't think I need to say Anymore from here, They have it covered on that blog. But I will say this to the Supporters of Diana Peters. To the supporters of DRDR-DIANA PETERS, there are questions I have for you and I wish for you to answer them, Honestly and without any malice or hatred in those answers. 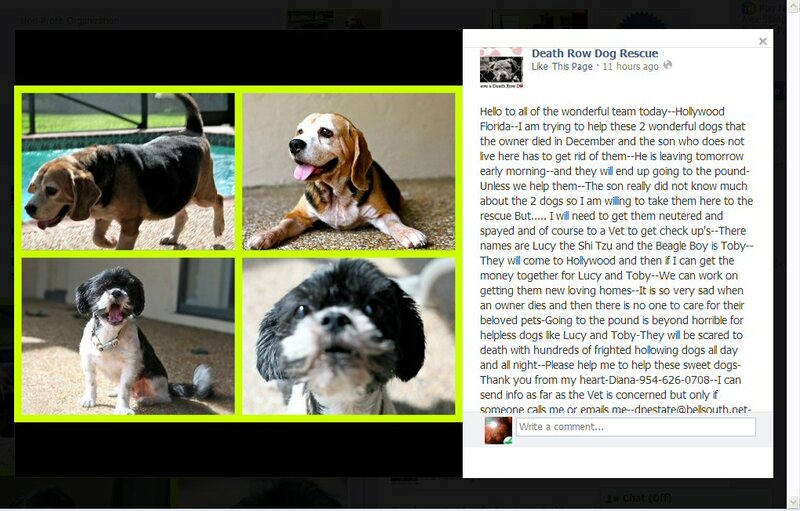 Have you ever stepped foot on the Death Row Dog Rescue Property? 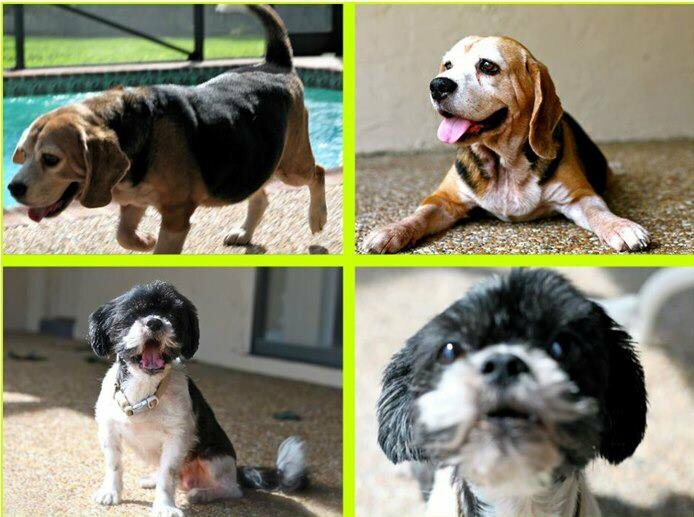 Have you ever really seen these 35 sum dogs she claimed to have had for yourselves in person? Have you seen her receipts? Have you volunteered for her? 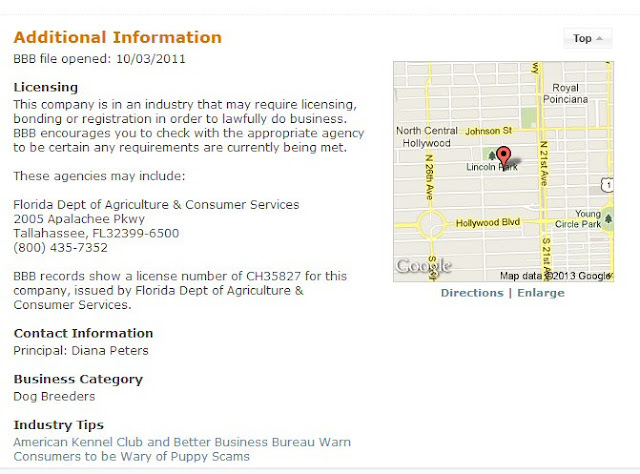 Have you seen legitimate Veterinarian information documents with her signature on it? Have you seen legitimate Documentation, stating she is a Non for profit rescue? 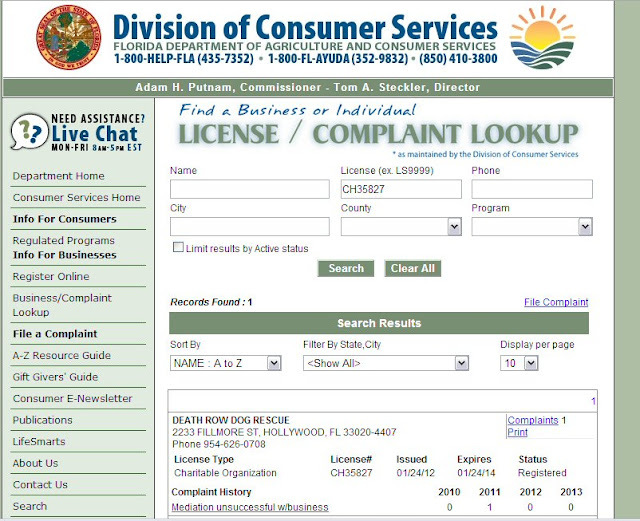 Did you even bother to Contact the MDAS, BAC and other Florida Shelters and ask about Diana Peters? 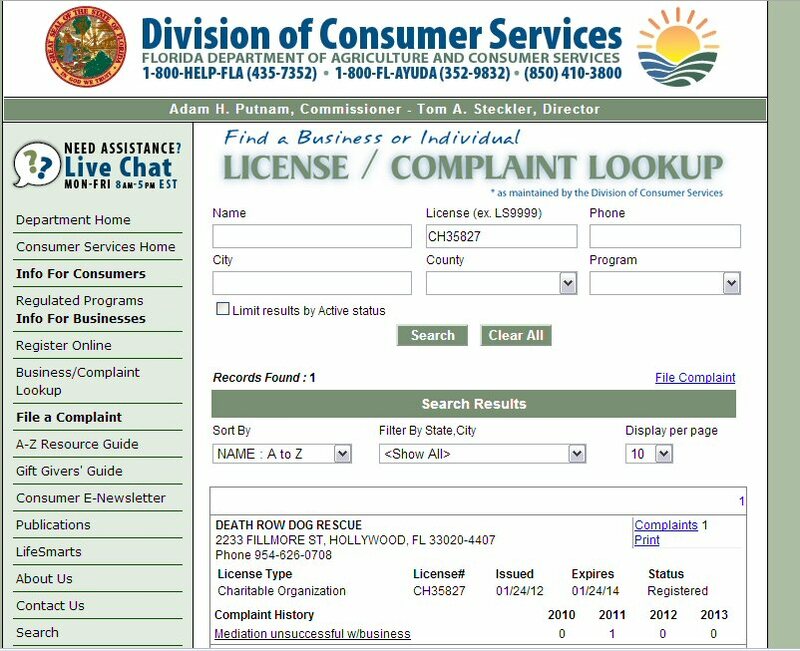 Instead of drinking her drugged filled fruit punch, how about you all start calling the MDAS, BAC and other Florida Shelters and Start asking the questions about Diana Peters of Death Row Dog Rescue. The fact is people have been asking questions on her Page, She answers them with Please Call me or Email me. 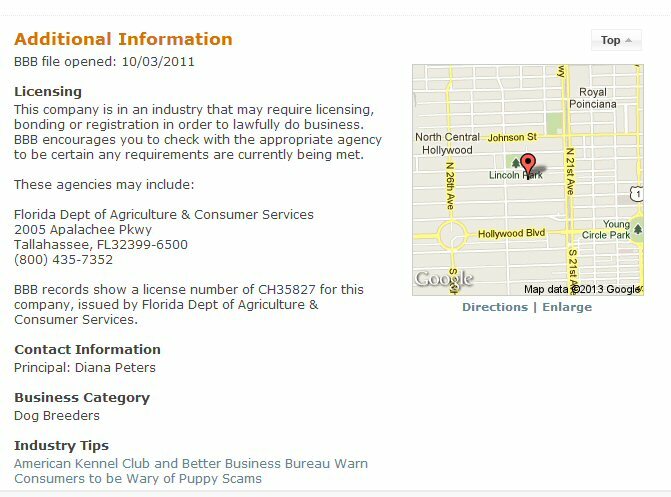 The fact is, any legit rescue would give you the VETERINARIAN information and their 501C4 EIN number, not deflect your question by saying CALL or EMAIL me. Case In Point below a Screenshot taken by the DogRescue Blog once again. 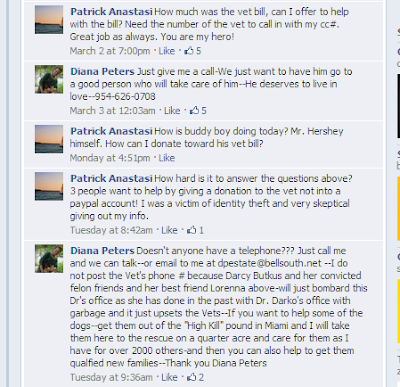 Vet Information Diana, not your information, Nice touch in self liking your Posts. Diana Has many aliases, that she goes by. 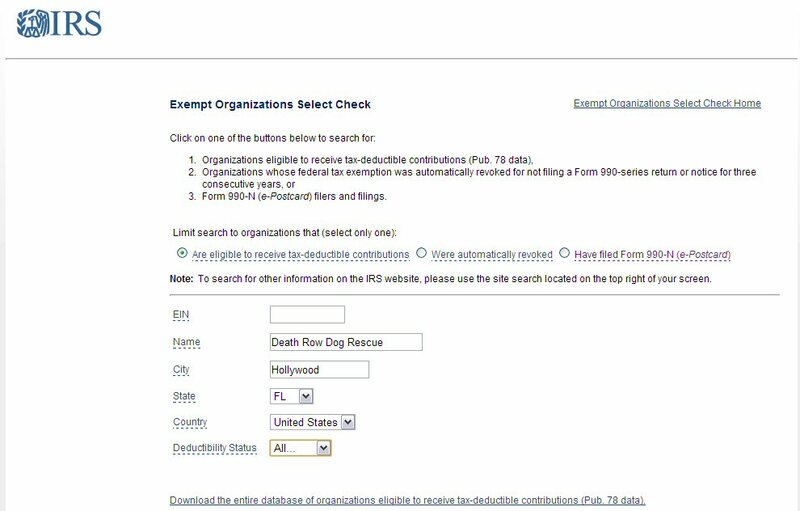 Why would you need Aliases if you're a legit rescue person? It's not like you have anything to worry about, For heavens sake her aliases keep growing and she can never get her story straight either. All these names, and yet no one seems a bit skeptical? Comments disappearing when people ask for the 501C3 information, or when they confront her, and yet NO ONE seems skeptical? Reality Check, just because someone shows you a picture of a DOG in a SHELTER and STATES that they're going to pull them.... DOESN'T MEAN THEY WILL. 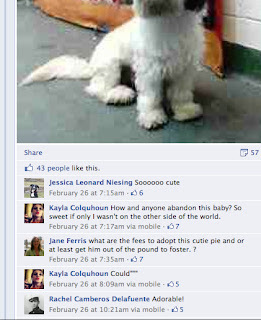 You out of towner folks need to learn this, America has some shady dealers in the ANIMAL rescue world. 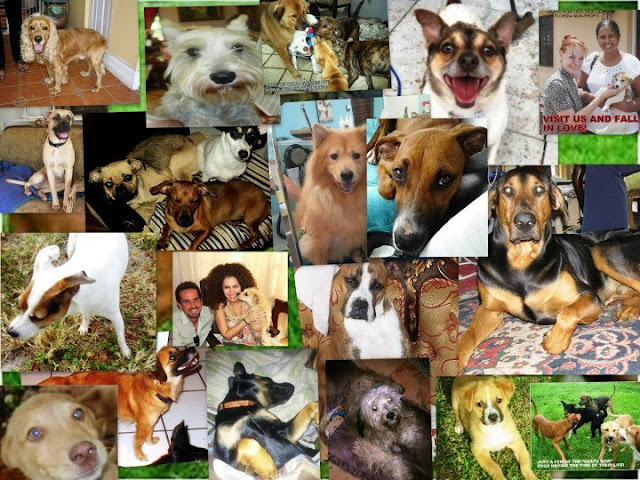 DogRescue-The Good- The Bad and The Ugly Of South Florida.